Getting a property ready to rent might seem tough, but advertising your property and finding the right rental tenants is even harder. 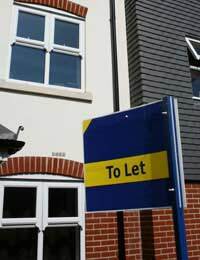 Poor rental tenant advertising can easily undo your hard work, and will attract unsuitable tenants, making your time as a landlord difficult and stressful. Instead, you need to know the right way to go about advertising rental property and finding tenants that you really want. If you don’t do this, then you could find your property remaining empty for long periods of time, or even worse picking tenants who cause problems for you. If you are having trouble finding rental tenants through rental property advertising, then these simple tips should make things a little easier. Finding rental tenants that are suitable for your property is all about making sure that your advert conveys the right image. If you don’t want noisy tenants with little money, then don’t put ‘cheap flat – great for parties’ in your advert! Examine other examples of rental property advertising in your area for an idea of pricing. Make sure you price your property competitively – neither too high nor too low. Be sure to put the three best assets of your property in the first sentence of any advert you write. Sell your property to people; otherwise there will be no reason for them to respond to your advert. Once your advert is placed, be prepared for people to call. Have a pen and paper ready by the phone, as well as a diary for viewing appointments. Many people think that classified adverts or using an estate agent are the only way they can advertise their property. However, it has been found that many people find rental properties by driving past the area. When people want to live in a certain area they will likely walk or drive around that area to see what it has to offer. This is a great opportunity for you to advertise your rental property. Place a sign outside your property stating that it is for rent, with contact details for people to set up a viewing. Make sure the sign is prominently displayed and that it has all the basic information you want to convey about the property. Also, try using language like ‘available soon’ rather than simply ‘for rent’, as this will give the impression that the property is still occupied and therefore in demand. Another great way of finding rental tenants is through recommendations from other people. Many rental properties are filled by recommendations to one person from another about the property vacancy. If your rental property is part of an apartment complex, then let the neighbours know about the vacancy – they might know people who are interested in renting a property in the building. Also, let your friends and family know about the property for rent, as they might know someone who is looking for a place to rent. Advertising your rental property through word of mouth is an effective and cost-free method of property advertising. Of course, the most common method of advertising rental property is through classified advertisements. Whether this is in a newspaper, magazine, or online directory, classified advertising is a great way to find tenants. Start with small local publications, as these adverts are likely to be cheaper to purchase and the audience will be local to your property. Also, if your property has a unique selling point then try advertising in specialist magazines. For example, if your property is ‘animal friendly’ then place an advert in a local animal or pet magazine. If this doesn’t yield success then you could try larger publications, although beware that large newspapers and magazines will charge higher rates for classified adverts. If classifieds don’t work, then you can always try putting up posters or giving out leaflets in your local area. Boards at newsagents and other shops are also a good place to use, as local residents will often check these boards for places to rent or other information. Getting your property advertisements right can be tricky, but if you place your ads in the right place and include the right information it will help to attract the right sort of tenants. Sell the benefits of your property and use appropriate language to attract the sort of tenants you want. Also, don’t forget to make thorough checks on any potential tenants via references and recommendations. If you do all of this, then finding suitable rental tenants for your property will be relatively stress free.